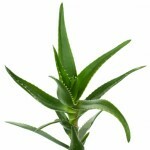 The aloe vera plant has long been hailed for its medicinal properties. And one of the best ways to take advantage of this spiky plant’s detoxifying and medicinal agents is through an aloe vera colon cleanse, or a cleansing of the large intestines. Packed full of essential vitamins, minerals, and nutrients, an aloe vera colon cleanse can rejuvenate the whole gastrointestinal tract by ridding it of unwanted and potentially harmful substances. Aloe vera is packed with phytonutrients that have an extremely high bioavailability since they come from a natural plant source rather than synthetic chemical material. The longer that waste products sit in the colon, the higher the risk becomes for certain diseases and conditions. These materials begin to rot and attract harmful bacteria, which can be a precursor to colon cancer. As a natural, green plant material, aloe vera is loaded with insoluble fiber, which clings to waste material in the colon and helps it to quickly pass through the digestive system. Aloe vera possesses strong anti-inflammatory attributes, which can eliminate intestinal spasms. This aids in relieving abdominal cramps as well as constipation. The juice of the aloe vera plant assists in the aloe vera colon cleanse, beginning in the stomach. It enables food to be more fully digested, which then allows it to pass through the gastrointestinal tract with greater ease, restoring regular bowel movements and lessening toxic buildup. The gastrointestinal tract is closely connected with the immune system. As harmful material sits in the colon, it weakens the entire immune system. An aloe vera colon cleanse can boost the immune system’s functionality and effectiveness through its detoxifying properties as well as by replenishing nutrient stores that may be lacking due to poor diet or environmental factors. Using aloe vera as a means of colon cleanse is ideal for anyone who suffers from indigestion, heartburn, abdominal cramping, constipation, diarrhea, or Irritable Bowel Syndrome. 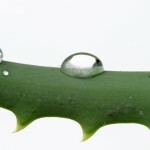 Aloe vera can also work to prevent such conditions before they start. People suffering from IBS are often lacking in B vitamins. Not only does aloe vera supply a good dose of vitamins and minerals, it also causes the intestinal tract to absorb more of these vital nutrients. An aloe vera colon cleanse restores both hormonal and enzymatic balance within the body, promoting healing and recovery in the colon. Unlike many over-the-counter and prescription medicines aimed at dealing with digestive issues, aloe vera has no dangerous side effects. It is safe, natural, and highly effective for restoring and maintaining a healthy colon.